Critical to being a successful freelancer is learning the skill of mood management to lift your productivity. We explain how to do this. 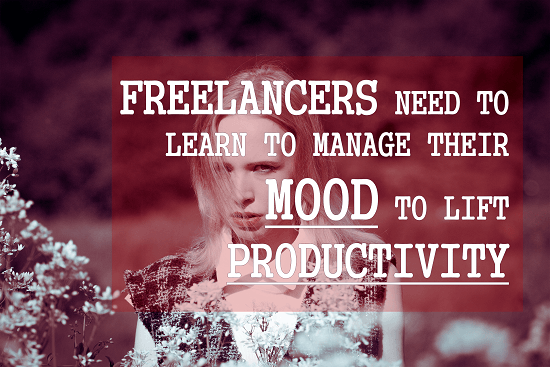 Some freelancers seem to possess a secret mindset that helps them succeed. We explain what it is and how you, too, can find it. The Harvard Business Review produces HBR IdeaCasts about important topical issues that can help people. We link to the transcript of an important one entitled The science behind sleep and high performance. Have you wondered what is driving the work-life balance crisis for the millennial generation? We reveal the global trend, which according to the OECD, is the cause. We monitor financial tips for reducing the living costs for our readers and we share the latest tips we have discovered from our Feedspot monitoring service. The latest news from Amazon is revealed in regards to acloud.guru training for Amazon Web Services freelancers and the YouTube video on Amazon Home Services.